Posted on 1/25/2019, 10:36 am, by rackycoo, under Home Sweet Home. 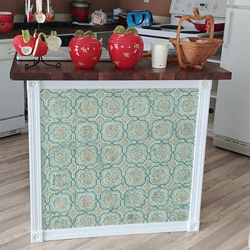 This weekend, create a kitchen island out of an old cabinet. appledainty painted and papered this cabinet, and then used some clever ideas to maximize storage. Check it out!